It's Summertime Summertime Sum Sum Summertime! not only are they beautiful but they honor a lost loved one and help a living loved one get through a very difficult time in their life. Knowing this brings me great satisfaction and I strive to make sure the quilt is perfect for them. 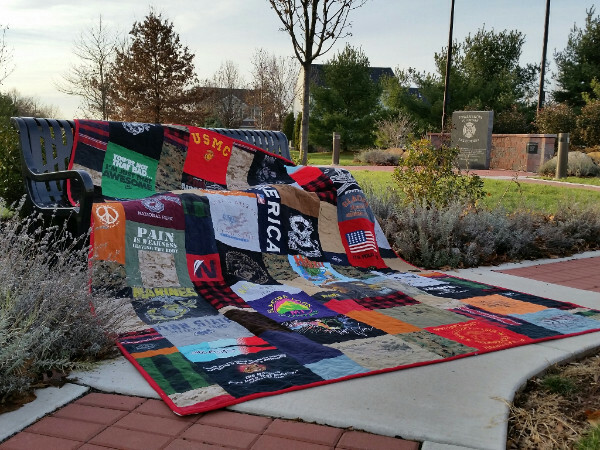 The journey that a person goes through after losing a loved one is a long one, but the Memorial quilt helps ease the pain. It also helps to re-purpose the clothing that most clients simply don't know what to do with. As always, if you are interested in a Memorial or Memory Quilt, for any occasion, please contact me so that I can add you to the list. Currently, I have 18 quilts on my schedule. Turn around time is about 16-20 weeks, so please plan accordingly. The beautiful Memorial Quilt shown above was made in honor of Dane Freedman, a brave Marine who left us far too soon. Here is the testimonial I received from his mother. Receiving these kind words makes all the hard work worthwhile! 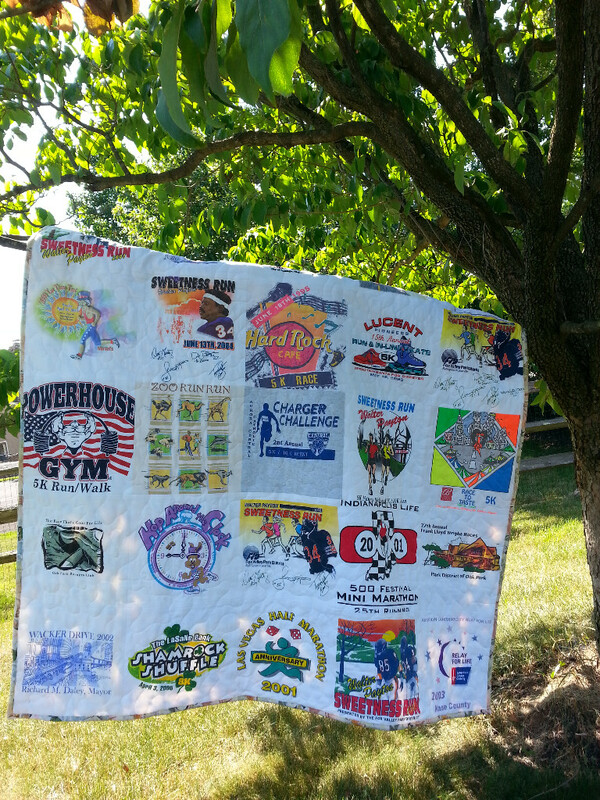 May the Memorial Quilt continue to honor Dane and bring comfort to his family.
" Dear Molly, It has been 29 months since we lost my precious beloved son Dane. 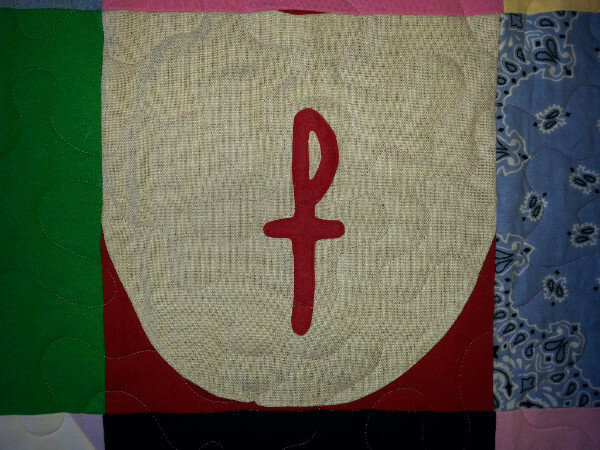 It is with love and respect I am writing you to thank you for all the time and attention you put into the magnificent quilt you created for our family in memory of him. The workmanship in this beautiful work of art is amazing; we are so thrilled to have all his clothing in one warm, comforting, quilt. From his Marine Corps uniforms to his pajamas and Sunday suit, there are so many memories all wrapped up into one. I must tell you when I first saw it I was so overwhelmed, seeing all of the shirts, pants, his favorite sweater...I kept it packed away, I have been so over come by grief my eyes could not bare to see his clothing. 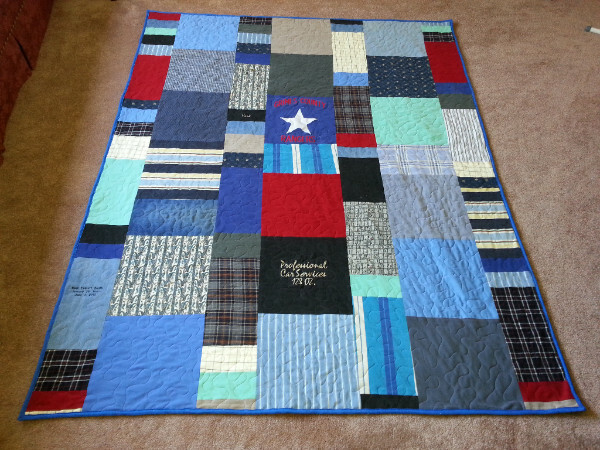 Now, this quilt gives me so much comfort and tells the story of Dane's life and many of the blocks make me smile as I remember him in each piece of clothing and it stirs a happy memory of my son. The quality of this quilt is none other than amazing, and I will treasure it for the remainder of my life and will be passed on to his sister for generations to come. As I know the stitches will last over the next hundred years. I also wanted to thank you for finishing it for us by the anniversary of his death just as you promised, you are truly a woman of your word. Remember how I drove the clothing to your home and was so nervous leaving the only thing besides memories I had of my son in your care?? I even ask you, "what happens if your home catches on fire?" Well our family has strict instructions that if we ever have a house fire, this quilt is the first thing someone is supposed to grab! We love you and we really love our quilt, I'm so happy I can look at it now and enjoy it. Thank you, and may God bestow many blessings upon you. Please know your Mama is smiling in heaven at the amazing creations you are making for people. Much love, Donnamarie Freedman" Click here to read more testimonials. A Very Special Birthday Gift! 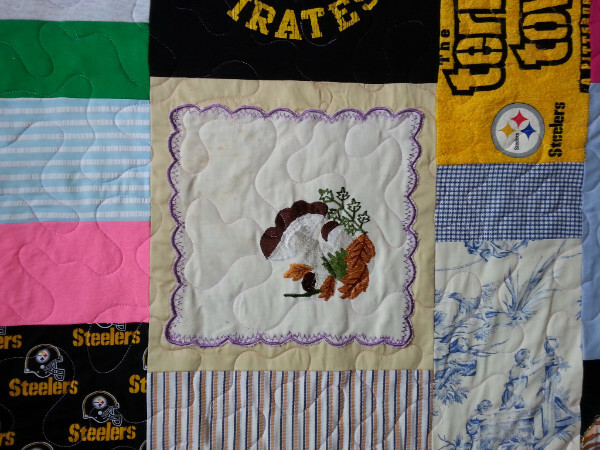 Pittsburgh Steeler fabric since she is a diehard fan! 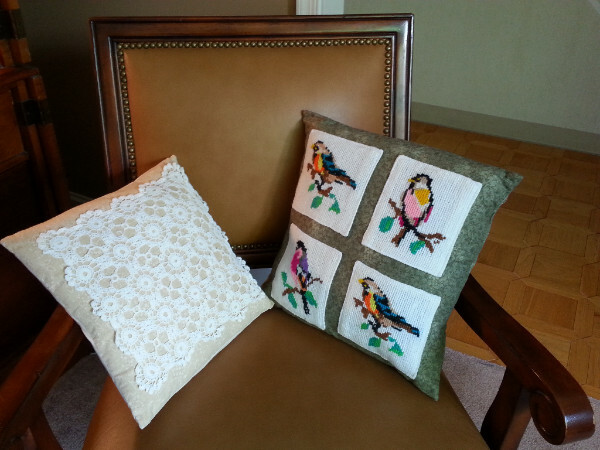 It is backed with here gorgeous curtain fabric that reminds her a bit of her home.
" 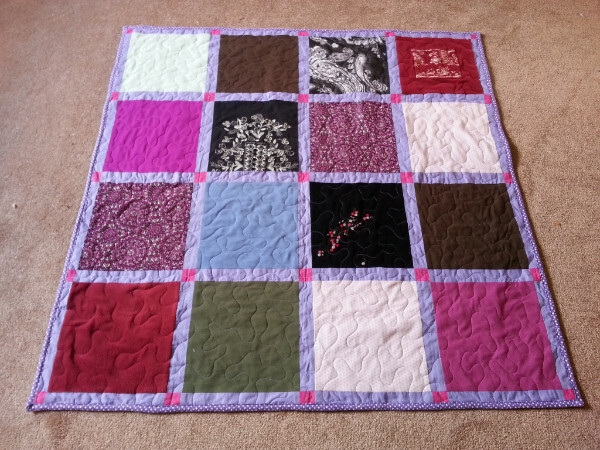 What a magnificent job you did creating my mom's quilt! She and I were admiring it again this morning together. She was talking about all the significant memories that each piece brought up. We are so grateful that Patti found you and that you were willing to work so hard and under such a tight timeline to create a quilt that will be treasured forever! You do beautiful work and you created the highlight of my mom's 90th birthday celebration! The pillows are the icing on the cake! Thank you for sharing your special talents with us!" 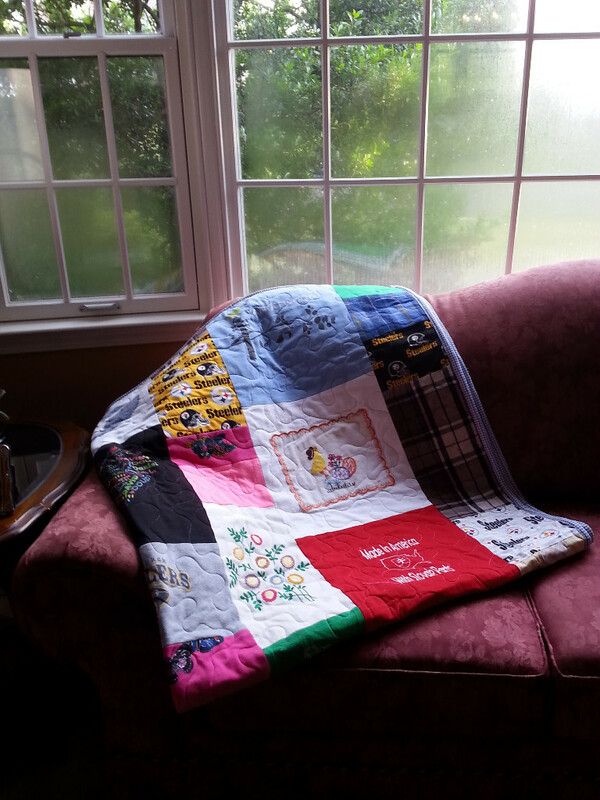 Three quilts were made for a loving wife and two daughters who lost their husband and father. 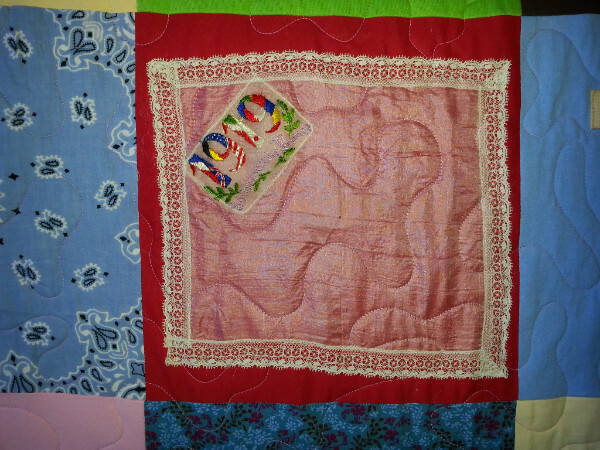 They each received a modern style twin quilt. 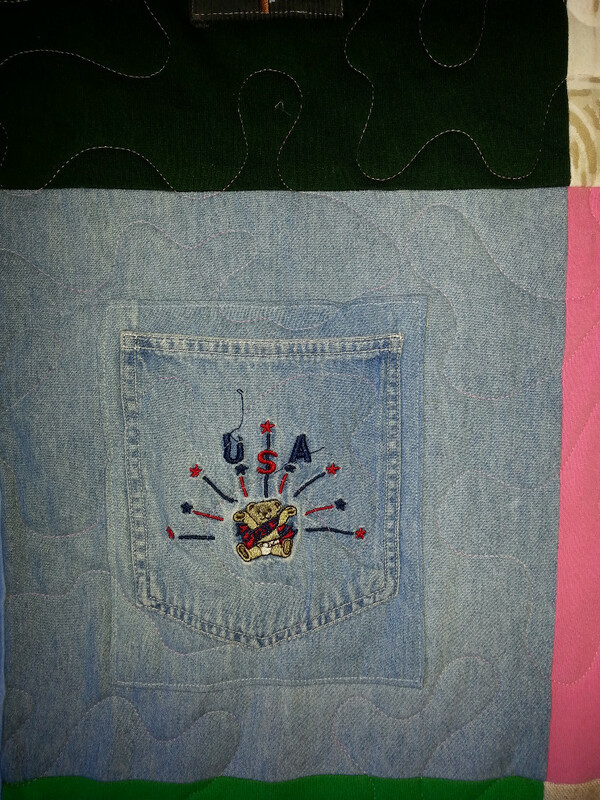 The clothing was separated and shared among all three quilts so that the special garments appeared in each quilt. This takes extra time but is worth it. 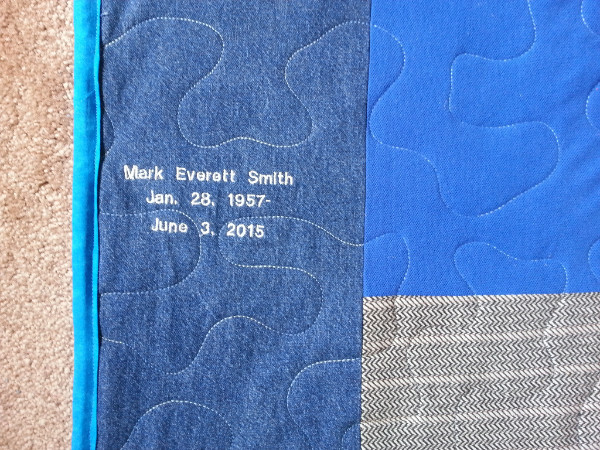 Each quilt was embroidered with Mark's full name, his date of birth, and date of death. I receive many multiple quilt orders. The largest one was six quilts! 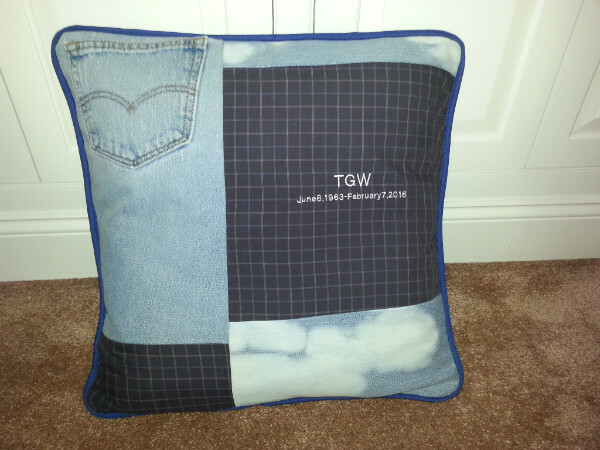 Please note that turn around time on three orders in longer than a single quilt order. There is much more labor involved! 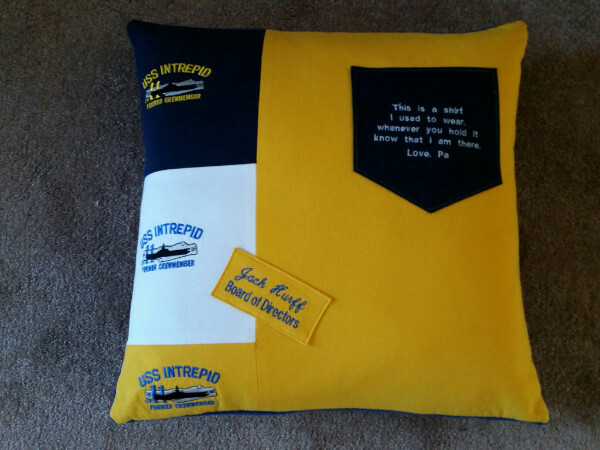 Please note that additional applique fees were applied due to the extra sewing involved. 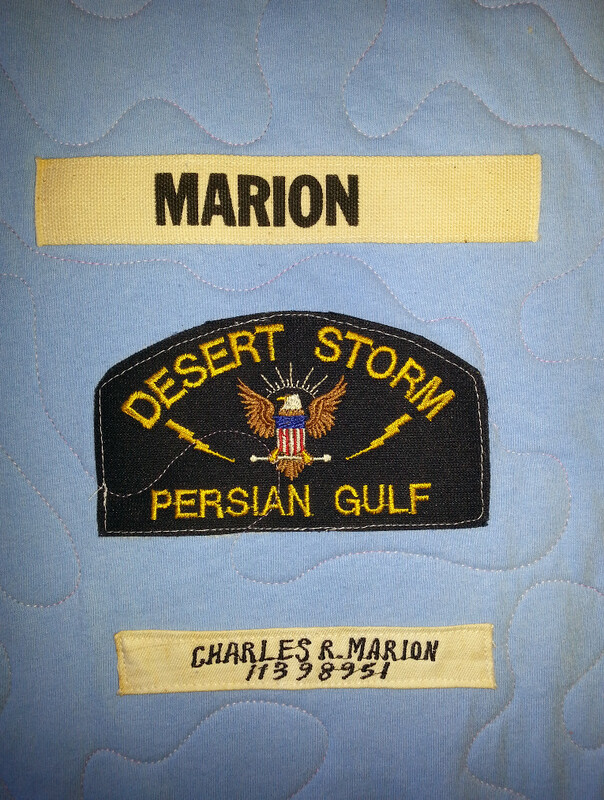 This traditional style, large lap quilt with friendship star sashing was made in honor of "Ma" and given to Sharon's sister for her birthday. Notice the word "Ma" embroidered in the last row. What a special birthday present given with love. 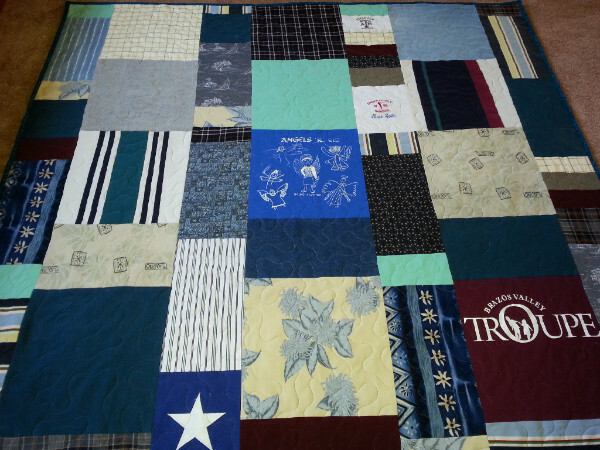 This ultra white Basic large lap quilt was given to Ramon's aunt, a truly wonderful gift in honor of a truly wonderful person. 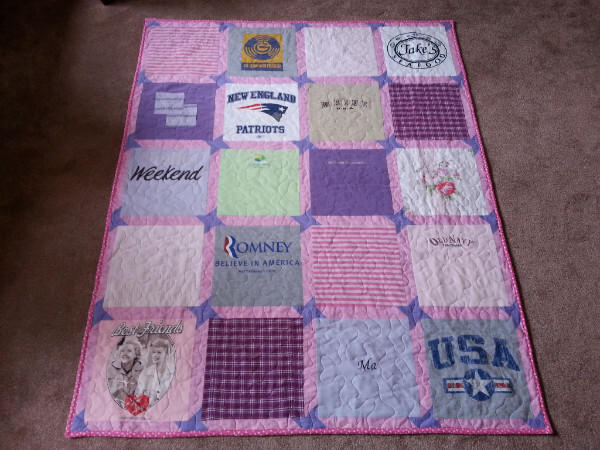 This is the second quilt I made for this family. 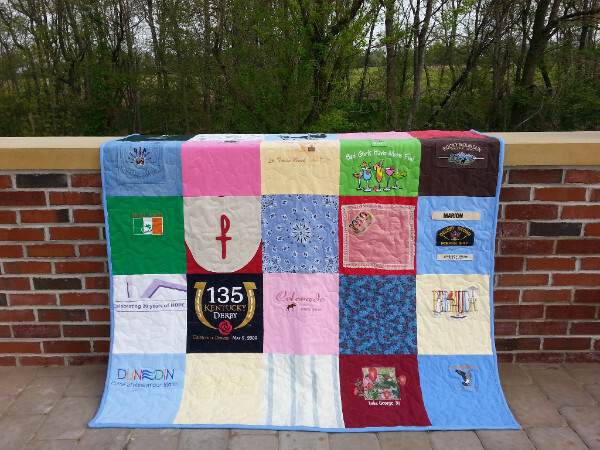 This traditional style lap quilt with block sashing contains many dresses, fleece pullovers, and dress shirts. 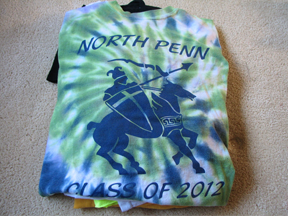 No t-shirts were used in this quilt. 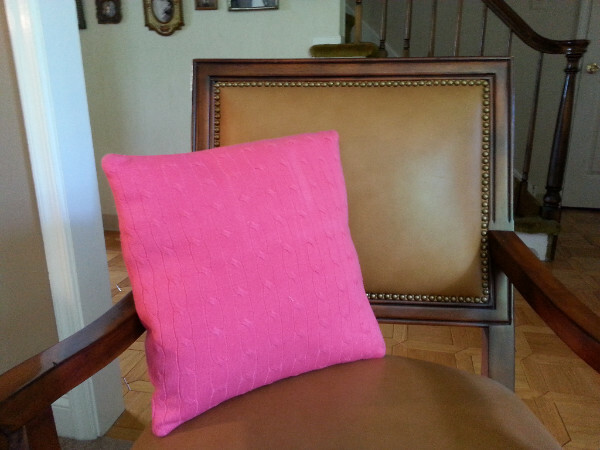 Many pillows have been made this past month. One that has been very popular is the "sweater pillow." 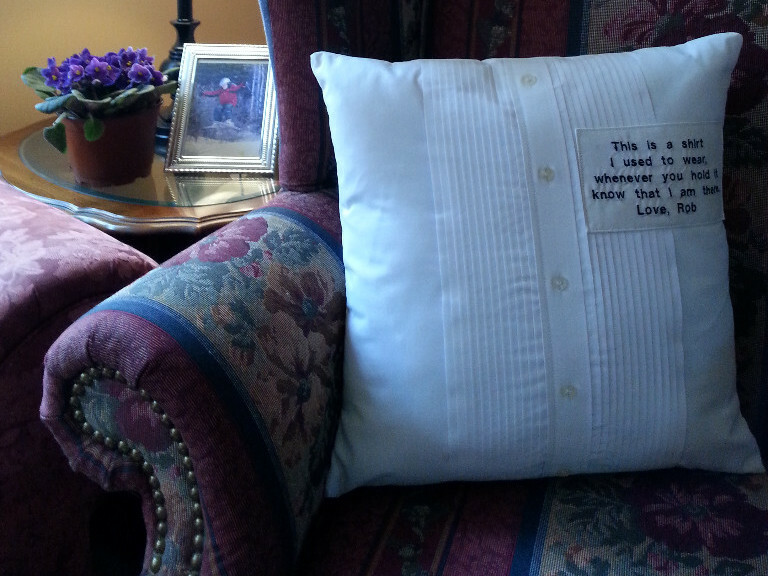 One sweater is used for the front and the back of the pillow making the pillow super soft and snugly. Sometimes sweaters are too thick for the quilt so the pillow is a perfect alternative. Copyright © 2016 Memory Quilts by Molly, All rights reserved.